Anglo-Catholic readers will no doubt have mourned the demise of Conner McNeill’s Merrily on High, what was once among the best and most prolific AC blogs on the web. Never fear! Connor McNeill rides again. He’s back with a new blog called Mary’s Dowry. It looks as tasteful, reverent, and aesthetically sophisticated as the project that preceded it. Mr. McNeill has decided to depart from the Church of England and join the Roman Communion. 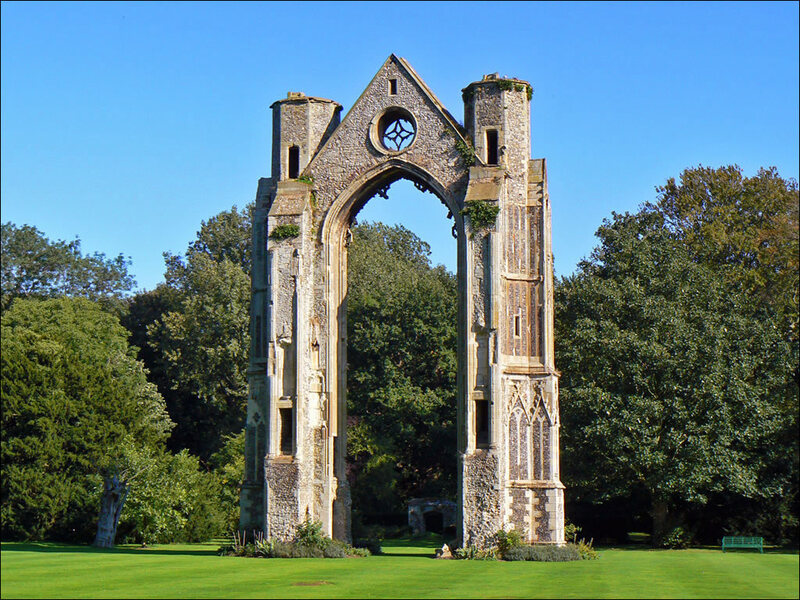 As he had been pursuing ordination with the C of E, this conversion is no small undertaking. Pray for him! And check out Mary’s Dowry while you’re at it. There’s a punchline here somewhere. Source. Recently, a minor storm of controversy has erupted over an unusual proceeding at Worcester Cathedral. For those of us blissfully unaware of the agrarian culture of the British Isles, the local Asparagus Festival celebrating the fine crop of the Vale of Evesham just opened to considerable acclaim. While there are, admittedly, a few suspect elements of the Festival, it does seem to be rather harmless on the whole. The kind of thing that would make a nice weekend in the country. Angela Tidmarsh, co-founder of the festival and tourism officer for Wychavon, said the cathedral’s management had been “really enthusiastic” about the idea. “We had the asparagus blessed by the vicar of Bretforton and then we took it to the cathedral, so it’s twice-blessed asparagus,” she said. This really did happen in real life. Would the Church of England permit a man dressed up as a baked bean to process behind a Heinz tin of the things, and sanctify the mummery with a facade of thanksgiving? And why only adoration of asparagus? Where’s the sprout liturgy, or equality for mushrooms? Would the Dean really permit a walking fungus to participate in an act of divine worship? While I would not normally wish to disagree with His Grace on issues of the liturgy (except, of course, when it comes to the validity of Anglican Orders), I must dissent from his wholesale condemnation of the procession. Yes, the costumes were silly in the extreme. Both St. George and Gus the Asparagus Man should have been excluded from any kind of religious ritual within the Cathedral. Insofar as His Grace and others assail the ceremony on those grounds, I agree. And when thou art come into the land which the Lord thy God will give thee to possess, and hast conquered it, and dwellest in it: Thou shalt take the first of all thy fruits, and put them in a basket, and shalt go to the place which the Lord thy God shall choose, that his name may be invocated there: And thou shalt go to the priest that shall be in those days, and say to him: I profess this day before the Lord thy God, that I am come into the land, for which he swore to our fathers, that he would give it us. And the priest taking the basket at thy hand, shall set it before the altar of the Lord thy God…And therefore now I offer the firstfruits of the land which the Lord hath given me. And thou shalt leave them in the sight of the Lord thy God, adoring the Lord thy God. Honour the LORD with thy substance, and with the first-fruits of all thine increase: so shall thy barns be filled with plenty, and thy presses shall burst out with new wine. Prov. iii. 9,10. It is unclear whether the same can be said of the Ordinariate, which inherited so much of the 1928 Prayer Book’s “patrimony.” Within the Roman Ritual, we find all kinds of blessings – including some for herbs and seeds, though these are tied to specific, Marian days in the Church kalendar. One could write an intriguing sophiological meditation on this liturgical feature – but I digress. I will merely say that, all in all, it makes perfect theological sense to offer the crop to God. The cosmic character of the liturgy, the way it gathers in all the world in the offertory, was an insight suggested by the C of E’s own Dom Gregory Dix and brought to fruition in the work of theologians like, inter alia, Alexander Schmemann, Joseph Ratzinger, and William T. Cavanaugh, though of course it is a much older idea. While this procession did not occur at the offertory of a Mass, its placement during evensong suggests the deeper implications of the Eucharistic liturgy. 1) Those ridiculous costumed figures in the procession – or even in the Cathedral to begin with. I wouldn’t want either at a liturgical function. 2) The blessing wasn’t tied to any liturgical date, such as the blessing of Roses on the Feast of St. Rita or the blessing of animals on the Feast of St. Anthony the Abbot. 3) It’s not clear that the blessing should have taken place at Choral Evensong, within the nave of the Cathedral, during a procession. Most of the similar traditions don’t seem to involve that kind of performative element within the temple. Point 1 stands. The photo above speaks for itself. The least Gus the Asparagus Man could have done is make sure he was properly vested in cassock and surplice, which Rev. Gilbert has attempted with only partial success in this shot from “An Easter Carol.” Source. However, I do think Points 2 and 3 can be open to discretion. Priests bless things all the time when they are asked, and while there are some regulations governing that act (such as those surrounding the imposition of the Brown Scapular), most priests bless freely and willingly. Nor am I convinced it’s a problem that the good folk of Worcestershire wanted to incorporate the Church into their festival. Indeed, they went so far as to have their prize vegetable blessed twice! After all, ought not the Church stand as an institution blessing the communal life of the people, correcting their morals, teaching them the Way of Life, and communicating sanctifying grace to them in the sacraments? While it is certainly an open question as to whether the Church of England does this effectively (or even has the power to do so), the principle remains one that the English have always cherished in their own, peculiar way. There is an earthiness to English communal spirituality. One cannot imagine the same scene happening in Ireland or France or even Spain (though possibly in Italy, as English Christianity since the 19th century has approximated Italian spirituality in various unexpected ways; as Dreher notes, the Church of Siena blesses the horses before the Palio, and within the temple!). I confess, my immediate reaction to the blessing of the asparagus was laughter. The whole thing struck me as, well, so very Chestertonian. G.K. even devoted a 1914 essay to the plant. Of course, I ought to come clean about one of my own biases. Asparagus is my favorite vegetable. Steamed, grilled, or baked, I find it a surpassing delight. I suppose that the Good Lord, who so lovingly and approvingly gave it to us on the third day of creation, agrees with me. Whether He shares my amusement at the procession of the blessed asparagus is another matter, and one I don’t presume to find out any time soon. 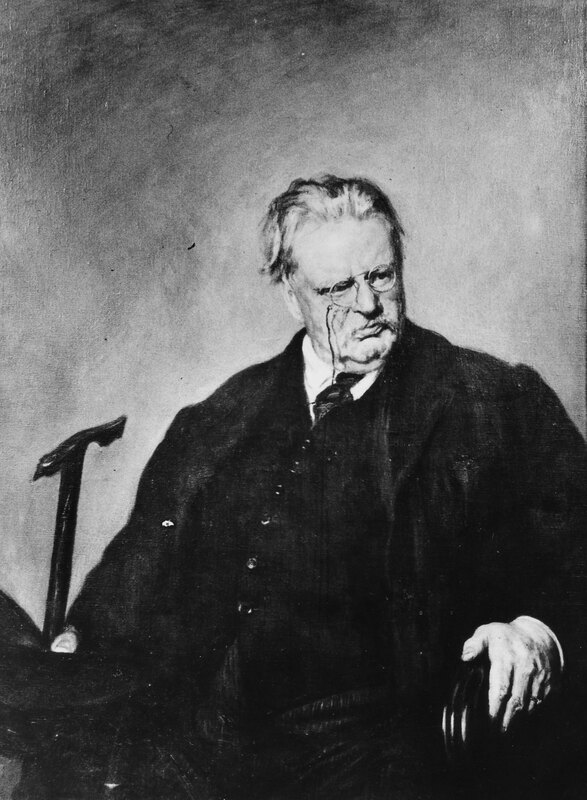 G.K. Chesterton: 100% would eat asparagus that has been blessed twice. Source.